Here are a few items I picked up when vintage shopping in Tokyo last month. 1. I've wanted a Enid Collins bag for some time, and now I own one. So pretty! 2. 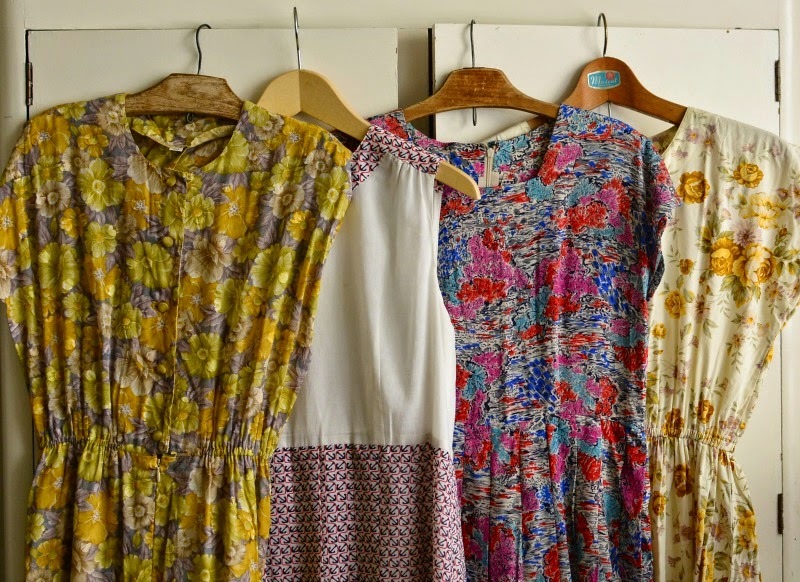 Four summery vintage dresses. 3. 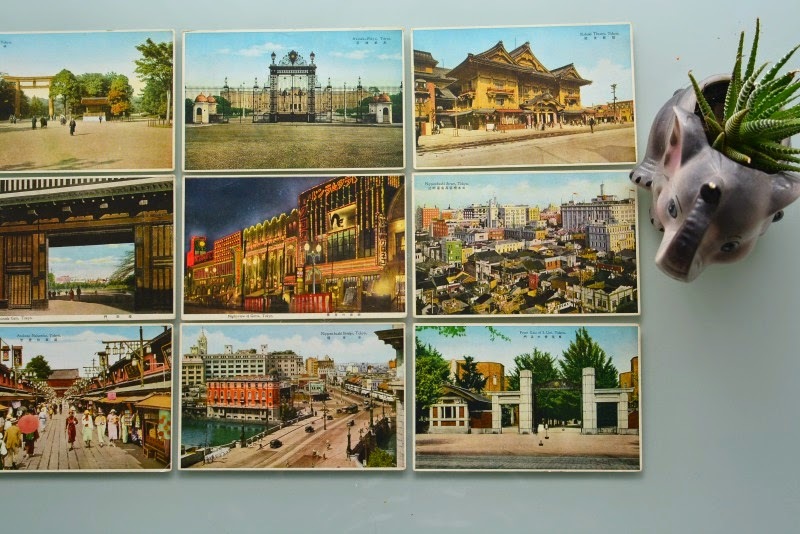 Vintage Japanese postcards. I just adore their muted colours. These will look awesome framed. 4. 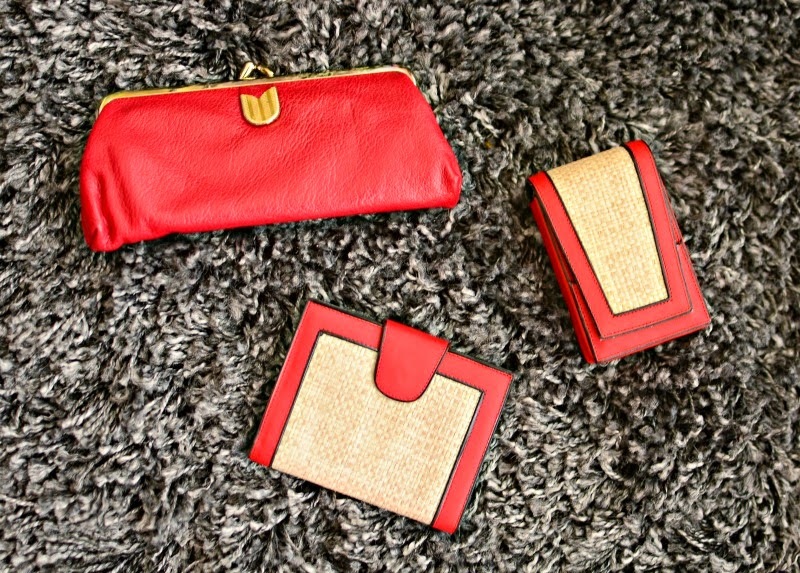 Brand new/never used 1960's red leather purse, card holder and cigarette case. I love the woven straw detail on the front. 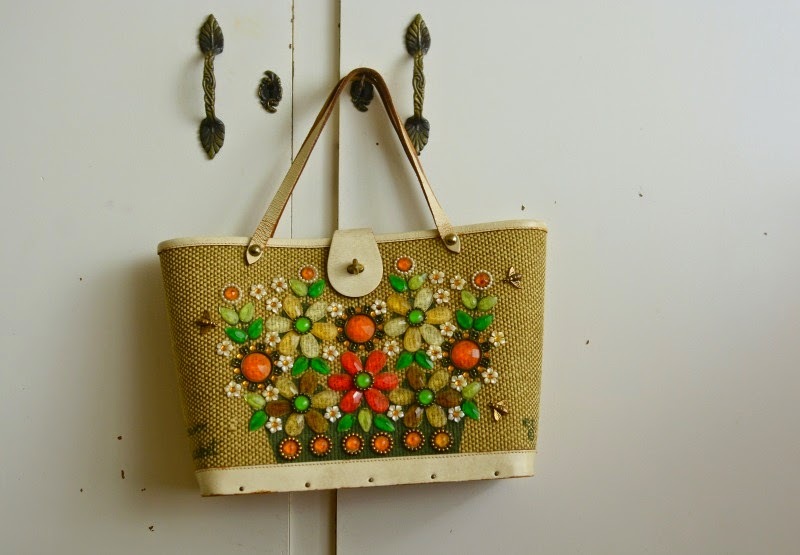 Oh wow, I love your Enid Collins bag, I've wanted one for so long. Gorgeous dresses too.